Selling a product or providing service to a customer is not always about generating revenue. It is a business’ objective to maintain their reputation and meet the set standard. Having high customer satisfaction would indicate that products and services are of high quality. That proves the organization to be trustworthy. We all know that nobody is perfect. Gaps and mistakes will always come up in a certain point in time. But there can always be a way to resolve things, the reason why providing outstanding customer service exists. 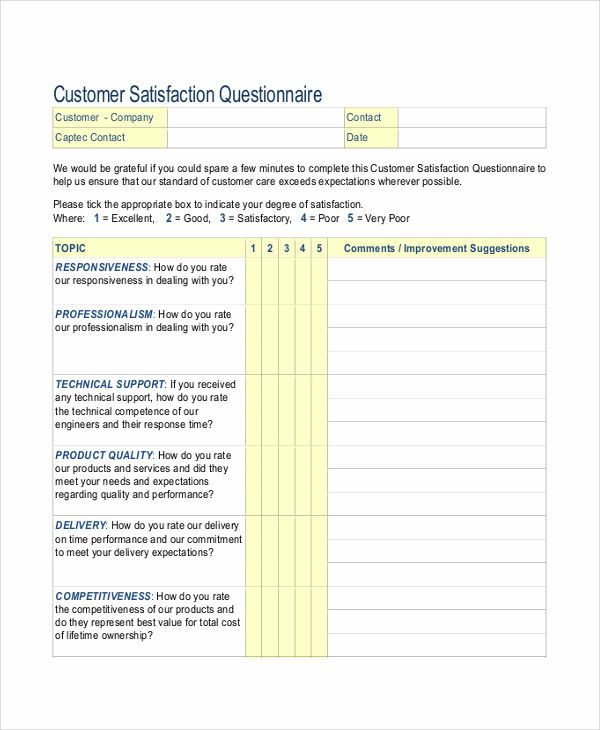 To continue improving customer service, we can acquire customer feedback questionnaires. 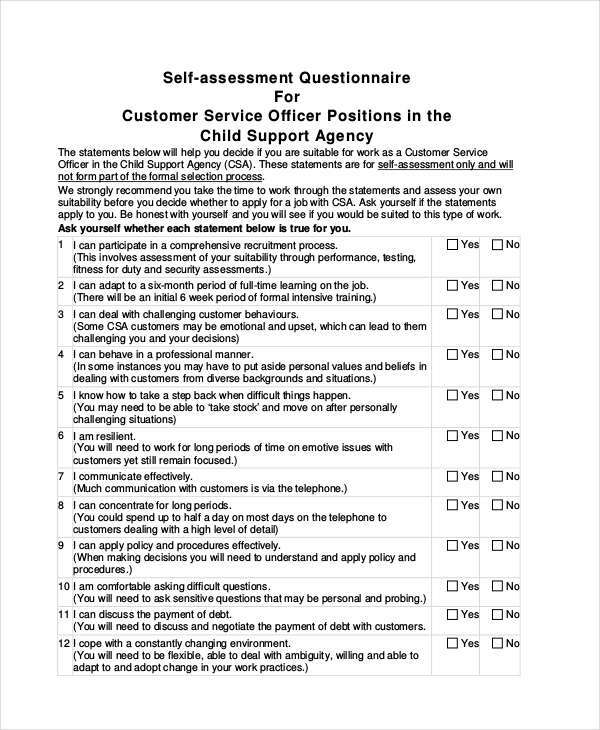 Customer Service Questionnaire? What’s That? Day by day, business organizations improve their product and services. They achieve this by the help of their customers. 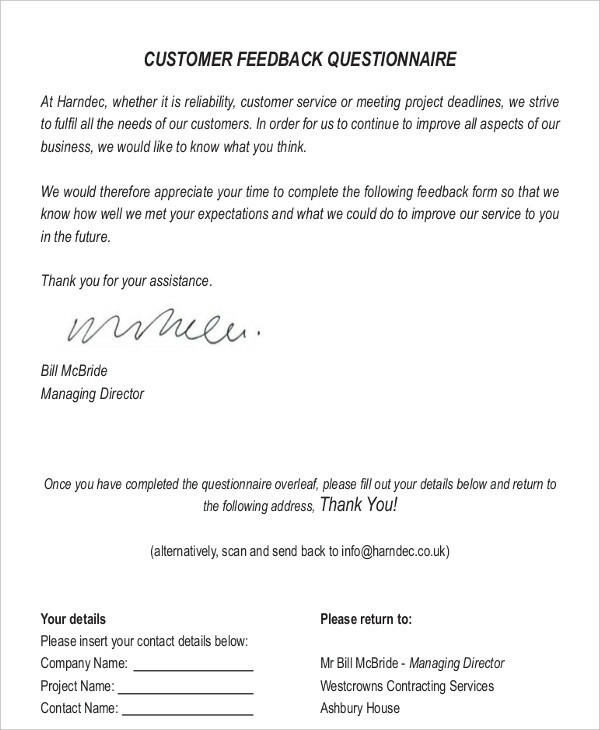 Feedback is significant in this continuous improvement, thus, creating customer service questionnaire to come to existence. 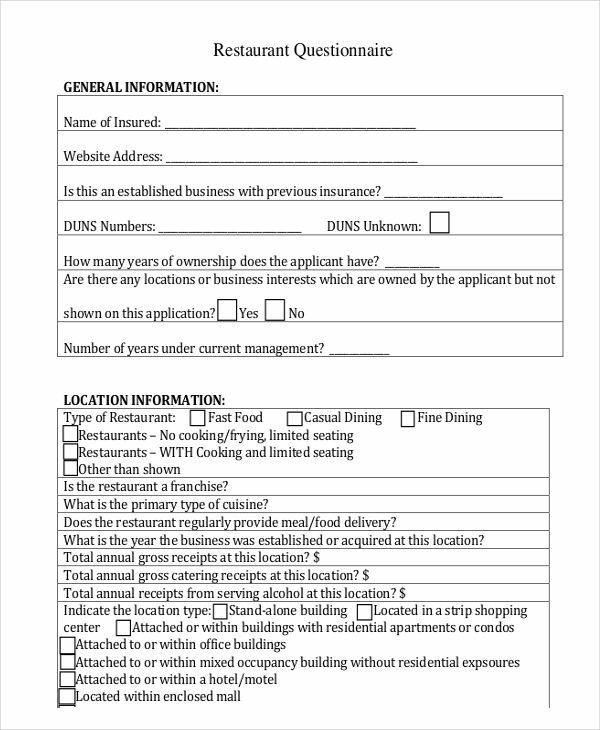 Customer service questionnaires are forms that allows business organization to check how satisfied the customer is of the service or product being provided to them. Aside from that, these questionnaires aim to acquire information about customers who truly enjoyed the product or service as well as suggestions for ways to improve. Apart from improving products and services as well as customer services, improving the customer service questionnaire is significant. Changing and improving the questionnaire would open more doors for improving the products and services and the whole organization as well. To improve a customer service questionnaire, it would be helpful to make it as open-ended as an interview questionnaire. If there are changes to be made, which would customers prefer? Allowing customer to share their opinion and taking those opinion into consideration would make customer more satisfied and make them feel they are valued. In making a customer service questionnaire examples, there are many ways how you can make it better than the previous questionnaires. There should always be room for improvement. How do you make it better? One tip in making a questionnaire better is to make it more engaging to the customers. Include questions that would make them think about how they would like the services to be provided. A mix of close-ended and open-ended questions can open minds of customers about what needs to be improved. Avoid questions that would seem very obvious. 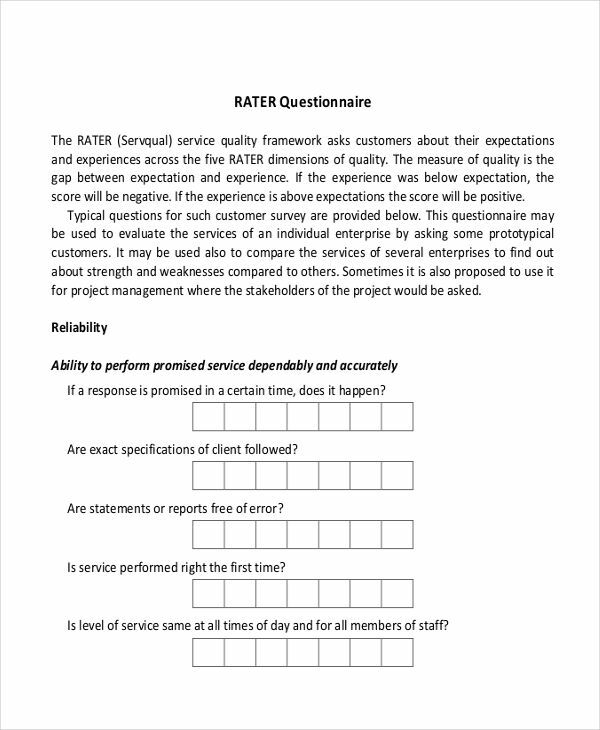 What Benefits Can a Customer Service Questionnaire Provide? There are various benefits a customer service questionnaire can provide to organizations. One great benefit is to know where to improve and how to improve the organization. These business questionnaires allow providers to listen to how customers feel about their services, whether it’s either good or bad. Because of customer’s response, management will be able to understand the needs of the customers, thus providing better service. Through these questions, providers will know their strength and weaknesses and with each passing day, achieve progress in making services or their products much better than before.